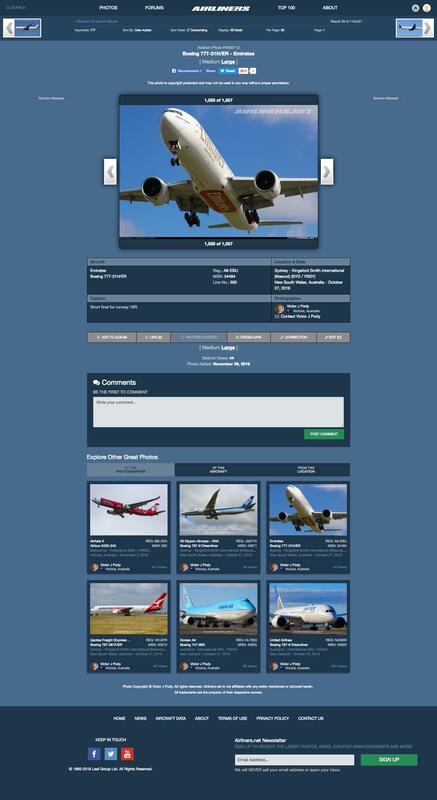 Thank you for taking the opportunity to voice your comments and concerns over the new Airliners.net site redesign. Your concerns are an important part of our continuous improvement program within the community. Our developers have received your comments and we are implementing action plans to address outstanding issues. 1. Watermarks and copyright banner at bottom of photos will be returned. 5. Investigating ways to improve the forum including dark/light theme. Please be advised we are reviewing all forum feedback and will update this list soon! We will be rolling out updates throughout the week and outline the changes on this thread. Just a quick update to let you know we have received your feedback regarding our new forums and we are currently investigating alternative theme options to replace the current one. We understand a dark/blue theme is very important to everyone and we will be consulting with our Crew Members on this subject and providing updates here as soon as plans are finalized. Thanks again to everyone for your feedback as well as your patience. Thanks again to everyone for your feedback so far. Here are some updates to issues mentioned previously as well as some new items that we are actively working on. Just a quick update to let you know about a few changes we've made. Also, we are in the process of adding a new option in the account settings section called "Always Display Large Photos" that will allow logged-in users to ALWAYS show the Large size photo by default when viewing all photo details pages. We plan to have this option fully up and running very soon. 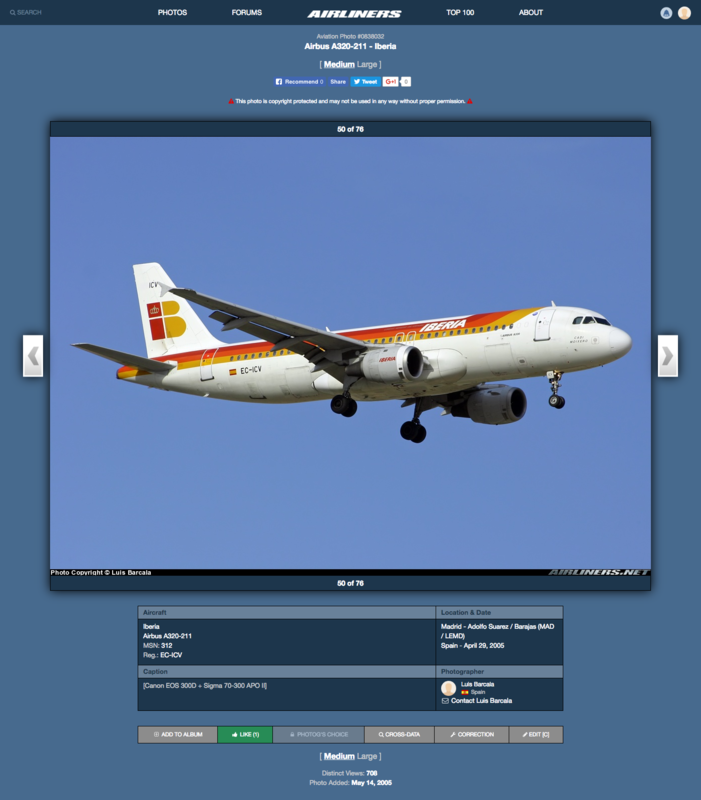 A small number of recently accepted photos had incorrect width and height values in our database and were therefore displaying at incorrect sizes on photo details pages. These photos have been updated with the correct width/height and should be displaying properly now. A new option has been added to the account settings page when logged in to your A.net account. The new option is called "Always Display Large Photos" and when enabled it will allow you to view Large photos by default on all photo pages. If this option is not enabled for your account or if you are visiting the site anonymously, then the default photo size is Medium and an additional click is required to view the Large photo sizes. Also, we are actively working on updates for both the forums and main site to bring back more of the classic Airliners.net look and feel. There will be a lot more blue very soon! We will have more information regarding this change early next week. We just pushed out a few small bug fixes and minor updates to the site. One of our updates today requires us to rebuild part of our photo albums database. Photos displayed on photo album pages may be missing or incomplete for a few hours until this process completes. In case you hadn't noticed, the Airliners.net forums are now blue! This change was made in direct response to feedback from the community, and we appreciate your being patient with us while the development team worked to make this happen. Coming soon we will be introducing an updated blue/dark theme for the main site. So keep an eye out for that! We're excited to announce a new way to embed A.net photos into forum posts. We've created three new BBCodes called: photoid, twoid, and threeid. Pick one of these BBCodes (see examples below) and enter it into your post's body on the editing page. Then, enter the photo ID/s of the photo/s you'd like to embed in between the opening and closing BBCode brackets. Make sure to enter 1, 2 or 3 photo IDs to match the BBCode you select. Also, please separate multiple photo IDs with commas (and no spaces!). If you are having trouble, please remove any spaces in between the opening and closing BBCode brackets and then use the preview feature to double check your work! NOTE: PLEASE USE THE BBCODE BUTTONS ON THE EDIT PAGE. DO NOT COPY/PASTE THE EXAMPLES BELOW AS THEY WILL NOT WORK. THE EXAMPLE BBCODE BELOW HAS BEEN MODIFIED SO IT WILL DISPLAY IN THIS POST. [photoid]2833105[­/photoid] will display ONE photo. [twoid]2833105,1889154[­/twoid] will display TWO photos side by side. [threeid]3974033,3955505,3960965[­/threeid] will display THREE photos side by side. Hey A.net fans! 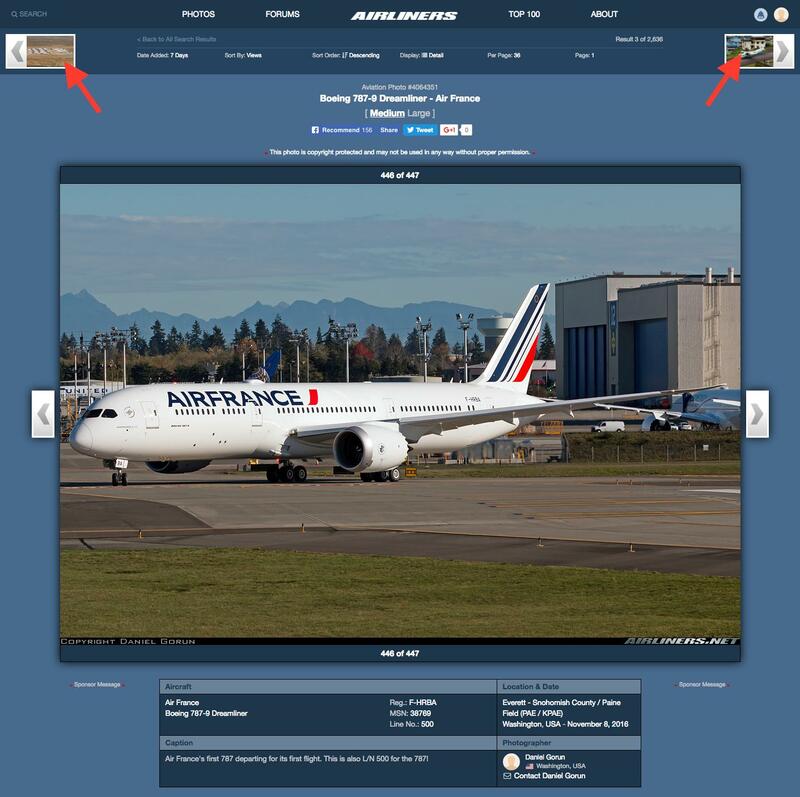 We heard your feedback and we are happy to announce the return of a very familiar design/layout to the photo details pages on Airliners.net. Here’s a sneak preview. Keep an eye out for the new layout over the coming weeks.